Chances are, robots will destroy us all. But would the merciless killing machines dare slay one of their own...well...half-own? 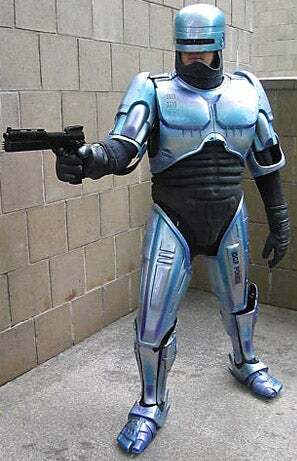 We consider this Robocop suit an insurance plan. One eBay seller claims to have an actual Robocop prop set of armor that was possibly worn in Robocops 2 and 3 for "stunt/distant shots." Supposedly, it's one of just five such suits ever produced.